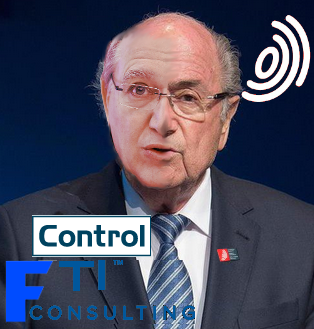 JUST over a year ago we started the “Insensitivity at the EPO’s Management” series — a series which dealt with ethical rot at the EPO under Battistelli. The last part dealt more specifically with intolerance of criticism. This is like sacking or suspending someone without even telling him/her. It’s arguably worse than the infamous “house ban” of a judge (which was an illegal move, recently followed by halving of the salary). The following is new to us and it shows another dodgy kind of practice at the EPO. We are going to look into it, even if quite gradually in the coming weeks, as we suspect it will be part of a growing problem/pattern. –AnonymousA short while ago the EPO promoted Praktika Internships, which we deem a method of giving well-paid examiners some competition to drive them out and/or reduce their salary, pension etc. “This is what you can expect from the Praktika Intern programme,” the EPO wrote, but only ill-informed people would apply for a job at the EPO, where massive layoffs are believed to be on their way. “I am sure there are some details that I can share with you,” said the person whom we spoke to, “some of which are actually public and not related to my case, yet hidden in the maze of info that the net floods us with every minute. “It would be also very difficult to summarize facts here. When you will get some of them, events that span many years, but acutely affect me up to a critical point for the last two and a half, I won’t be surprised if you will find my case the worst among the four or five that are now at a critical phase, such as the three suspended staff representatives, the suspended judge. The only ones which are definitely more tragic are those who ended tragically with suicide, I have no doubt to say.